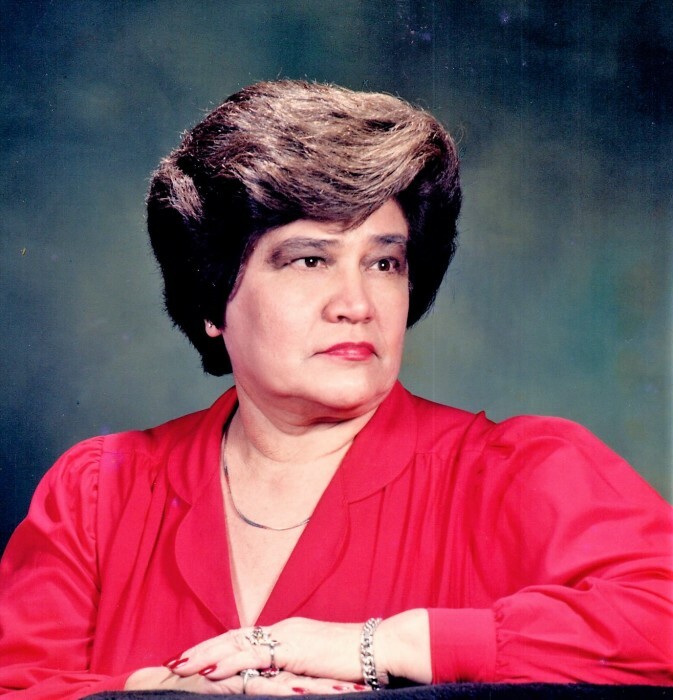 Maria Dolores (Lopez) Hernandez, 80 of Portland, Texas passed away Monday, February 4th, 2019 in Corpus Christi, Texas. She was born on March 4th, 1938 to Frank and Della Lopez. Dolores graduated from Gregory-Portland High School in 1957, where she played basketball and was a cheerleader. She married Pete Hernandez in 1958, and they celebrated 60 wonderful years of marriage and had two sons and one daughter. She worked as a hairdresser alongside her husband while working for Corpus Christi Independent School District for 23 years until her retirement in 2003. Our mom's soul began its new journey. A journey into the Lord's Kingdom that will reunite her with her beloved son Peter Lee Hernandez, great granddaughter Faith Arianna Cortez and parents Frank and Della Lopez. She is survived by her loving husband Pete Hernandez; her son Paul (Liz) Hernandez; her daughter JoAnn Cortez; her grandchildren John (Michelle) Cortez; P.J. Hernandez; Rhiannon (Robby) Kennedy; Jana Cortez; Selinda Hernandez; and her great grandchildren Sierra Moreno, J.D. Cortez Jr., Andrea Rowe, Abby Kennedy, Ainslee Kennedy. Visitation will be held from 1:00 - 8:00 PM with a Rosary at 7:30 PM on Thursday February 7 at Limbaugh Funeral Home. Funeral Mass will be at 10:00 AM on February 8 at Our Lady of Mount Carmel Catholic Church. Burial to follow in Gregory Cemetery.